The Weaver Injury Law Firm represents the victims of negligence in Plano and throughout the Dallas-Fort Worth area. When you are injured suddenly and accidentally because of someone else’s negligence, you are entitled under Texas personal injury law to complete compensation for your medical treatment, your wages lost due to injury, and all of your other injury-related expenses. However, you’ll need to have a savvy, experienced Texas personal injury lawyer advocating on your behalf. After you are injured by negligence in or near Plano, speak first with an experienced Plano personal injury lawyer at the Weaver Injury Law Firm. The personal injury attorneys at the Weaver Injury Law Firm are solidly committed to defending the rights of personal injury victims in Plano and across the Dallas-Fort Worth area. When an injury caused by negligence is a severe or permanent injury, a good injury lawyer will insist on compensation adequate to pay for your rehabilitation and treatment for as long as you require it. 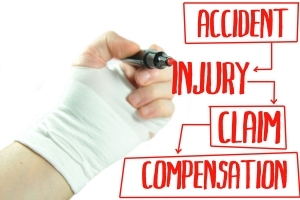 Let a personal injury attorney at the Weaver Injury Law Firm represent you in accident claims arising from construction and traffic accidents, defective consumer products, or nursing home abuse. We also represent surviving family members seeking justice through wrongful death claims. If you are the plaintiff – that is, the injured victim – in a personal injury claim, a personal injury attorney at the Weaver Injury Law Firm will advocate diligently on your behalf for the compensation you need and the justice you deserve. However, you cannot afford to wait. In Texas, the amount of time that plaintiffs have to file personal injury claims is limited by a statute of limitations, so you must act at once. If you are injured by another person’s negligence in or near the Plano community, call us at (469) 273-1000 as quickly as possible and consult an experienced Plano personal injury lawyer at the Weaver Injury Law Firm.